The federal government requires drug dealers and embezzlers to pay taxes on their ill-gotten gains. Surprisingly, some do. Dealt some drugs? Stole some cash? There's a line on your income tax form to declare it. As ridiculous as it sounds, the federal government requires that money acquired through illegal means be reported and taxed just like legitimate income. It's right there on the official IRS tax instructions: "Income from illegal activities, such as money from dealing illegal drugs, must be included in your income on Form 1040, line 21, or on Schedule C or Schedule C-EZ (Form 1040) if from your self-employment activity." Not surprisingly, tax experts say few criminals declare their loot. 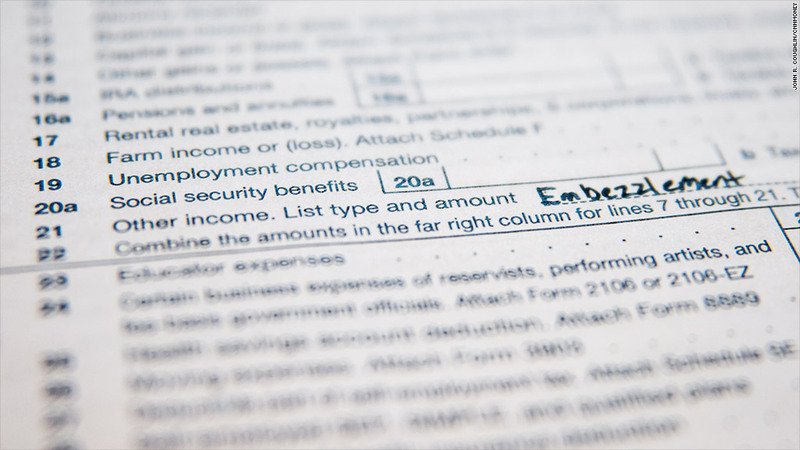 But some do, often when they've either been caught during that tax year or think they are about to be caught, says Stephen Moskowitz, a San Francisco tax attorney at Moskowitz LLP who has helped several clients document their illegal gains. Their goal is to avoid getting charged twice: once for their initial crime, and again for evading the taxes on their windfall. After all, it was tax charges that ultimately put away Al Capone. Many of today's criminals who choose to declare their illegal income are facing embezzlement charges, according to Moskowitz. Like Tom Hughes, a New England accountant who was caught -- multiple times -- stealing money from his clients. "I knew the money was taxable, there was no doubt about that," says Hughes, who now runs an anti-fraud consultancy called Hire-a-thief. "I had already been caught, and I didn't want to face federal tax charges." He paid taxes on his illegal gains in 1999 and 2001, and again in 2004, after he stole from another client. After a nine-month prison stint, Hughes swears he's now reformed. So how many self-confessed crooks does the Internal Revenue Service deal with each year? The agency isn't saying. A spokesman declined to discuss the issue, saying only that declaring illegal income "is what the law requires." Documenting illegal income is tricky, Moskowitz says. The IRS doesn't require any details on the return beyond an approximation of how much you made. The hard part comes if you get audited. There's usually no paper trail, so IRS agents will typically ask for the names and contact information for people that may have been part of the illegal transaction, Moskowitz says. The agency will then try to verify your numbers with them. If you tell the IRS you made $1 million from stealing money or dealing drugs, does the agency tip off the cops? Legally, it can't, unless a law-enforcement agency gets a court order granting it access to a specific taxpayer's return. The IRS isn't supposed to proactively alert other agencies about misdeeds unless terrorism is involved. In that case, it still needs a court order to disclose anything, but the IRS can initiate the legal process on its own. The rules are all spelled out in an IRS guide to "section 6103," the law that covers tax-return confidentiality. Like many legal statutes, it's complex and filled with loopholes. 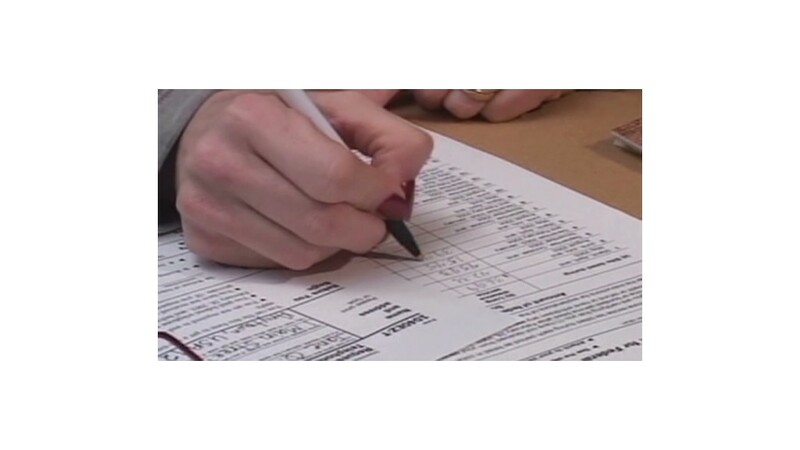 For example, the IRS might not be allowed to share the contents of actual tax returns on its own initiative, but it can divulge supplemental information obtained from outside sources -- like witnesses interviewed in an audit investigation -- "to apprise federal criminal law enforcement agencies of possible crimes," according to the agency's guide. In practice, Moskowitz says he thinks information about illegal activities gets shared. "Do they report you to other agencies?" he asks. "Absolutely." "The IRS would most certainly immediately report it to law enforcement," says Joseph Henchman, vice president of legal and state projects at the Tax Foundation, a think tank. The IRS' spokesman declined to comment on the issue. Here's one upshot to declaring ill-gotten gains: If taxes are paid on it initially, and restitution is part of any settlement or judgment, that restitution is then tax-deductible, says Moskowitz. If you decide to disclose your illegal loot, make sure to do it with the assistance of a tax attorney, not any old accountant. "If there's anything we suspect is criminal, the first thing we do is tell people to get legal advice," says Gil Charney, principal tax researcher at H&R Block's (HRB) Tax Institute. "We don't have attorney-client privilege. If The IRS or any law enforcement agency contacts us, we have to provide that information."